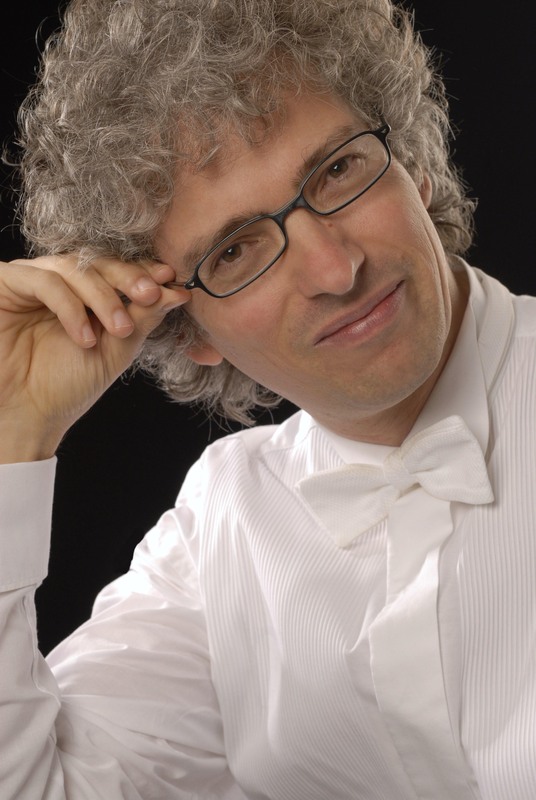 Franz Vorraber is considered to be one of the leading Schumann interpreters throughout Europe. He was the first pianist performing the complete piano work by Robert Schumann in a cycle of 12 recitals in the major cities of Europe including München ( Gasteig ), Frankfurt, Santander. The "Frankfurter Allgemeine Zeitung" described the Schumann recitals with Franz Vorraber as „an intimate Schumann experience gripping to the last note“. The audience acclaimed his Schumann recitals with standing ovations. He is also the first pianist to make a digitally recording of the complete piano work of Schumann on 13 CDs for the Thorofon label. For his Schumann recordings he received the “Pasticcio prize” from the Austrian broadcasting. Born in Graz - Austria, Franz Vorraber started to play the piano at the age of five. The son of an organist, he played the organ in church at age seven, hardly reaching the organ pedals. Later he also studied violin. He started his professionals studies at the Musikhochschule in Graz at age thirteen. The Vienna School and the old German School of Wilhelm Kempff, passed on at the Musikhochschule in Frankfurt by Joachim Volkmann dominated his study years. He received the highest degrees and graduated with “highest distinction” from both institutions. For his pianistic talents he has been awarded the Bösendorfer Prize of Vienna, the Hans Joachim Erhard prize and the prize of the Austrian National Ministry of Vienna. His DVD-Audio recordings on the Pioneer and the Geneon label received the Best Disc Award in Japan. Among his more out-of-the-way ventures is the recording with the Orchestre Philharmonique du Luxembourg of the piano concerto by the composer Robert Fuchs on the cpo label. His recording of Mozart’s piano concerto in C minor on the Thorofon label, a performance in the Gewandhaus in Leipzig, is named a reference recording by various prestigious music magazines. “His art dates back to an almost forgotten time when the piano reigned supreme as concert instrument. Franz Vorraber is one of the last of the great Titans,” recounted a critique from an American tour. Franz Vorraber has performed in most European countries and the USA, and has given piano recitals in Japan’s most important cities. The conductors he works with include Dennis Russel Davies, Alun Francis, Fabio Luisi, Gabriel Feltz, Daniel Klajner, Morten Schuldt-Jensen, Peter Schrottner, Marcus Bosch, Sebastian Teewinkel, Hendrik Vestmann and Golo Berg. He has appeared at renowned music festivals like the Schleswig Holstein Festival, the Ruhr Piano Festival, the Würzburg Mozartfest, the Maulbronn Monastery Festival, the European festival in Passau, the Frankfurt Feste, the Wiener Musiksommer, the Rheingau music festival, the Bebersee festival, the Hohenloher Kultursommer and the Choriner Musiksommer. During the last concert series the third Rachmaninoff’s piano concerto and the Fuchs piano concerto have been recorded by the Austrian broadcasting, several Mozart’s piano concerti by the MDR and the Deutschlandfunk, the Schumann’s piano concerto have been recorded in Estonia and the Mozart’s piano concerto in C-major has been broadcasted by the Danish radio. His performance activities include international radio recordings as well as broadcasts on radio and television. In the USA he was invited for a television portrait. The MDR, the radio Stephansdom Vienna and the ORF have produced numerous Schumann features with Franz Vorraber. Franz Vorraber is also a highly esteemed composer. His works were performed by soloists of Gewandhaus and Staatskapelle Berlin. The performance of his first piano concerto was an outstanding event.